We install bathrooms depending on your budget, all our work is carried out to the highest standards to current building regulations. We only use quality materials when installing your bathroom to give the best and long lasting finish. 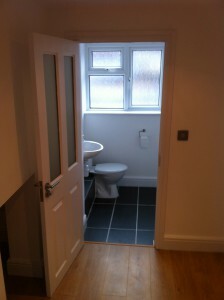 The downstairs toilet/ cloak road replaced an old utility room , this allowed the property to have a second toilet. 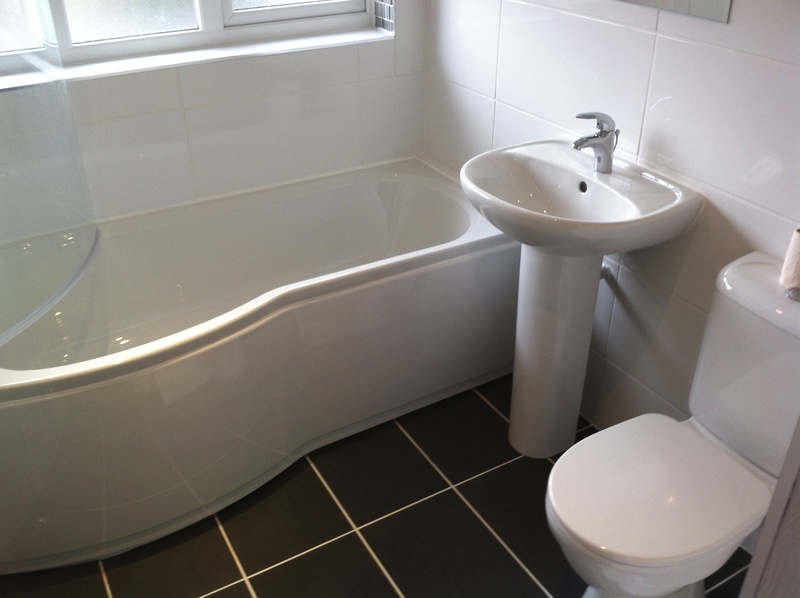 the floor was fully tiled with a new chrome towel radiator, hand washbasin and toilet. The bathroom was completely renovated , the walls were stripped back to the brick, then re plastered , a new bath, toilet and wash basin were installed, with a new high pressure shower and glass shower screen. 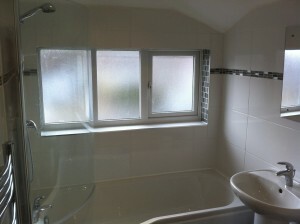 The bathroom had fully tiled wall and floor.